I've been a busy little bee. 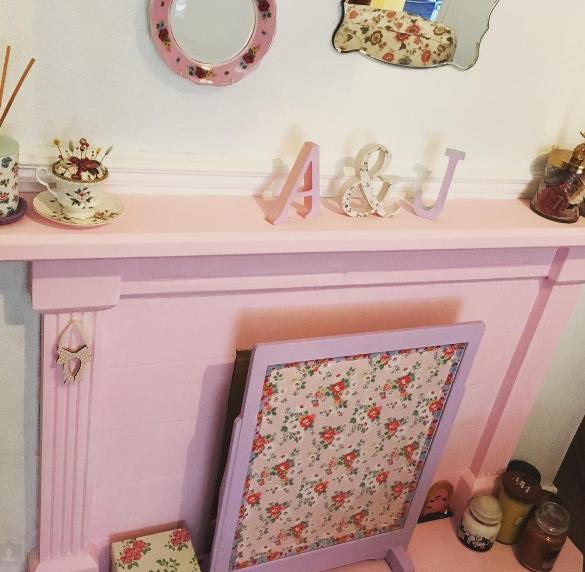 My living room walls are now white and my fireplace is pastel pink. Look how cute it is! For the fireplace I just sanded off the varnish on the dark wood (see previous post for what it looked like) and did two coats of white wood paint. I then did one coat of pink emulsion and this is how it turned out! The room is so much brighter now and it totally matches the fire screen that I upcycled. Hope you guys love it! Also, there's a tutorial soon to come on a Pinterest project that I undertook on my staircase - definitely look out for it next week.